Welcome to your new community with many amenities! Relax and enjoy the beauty of Oak Crest Pointe! Oakcrest Pointe is its own unique neighborhood, and we take pride in its appearance. Well-maintained entrances, luxurious landscaping, and modern amenities create a living environment you’ll love to call home. Professional on-site management takes care of the many important details, allowing you the luxury of carefree living. 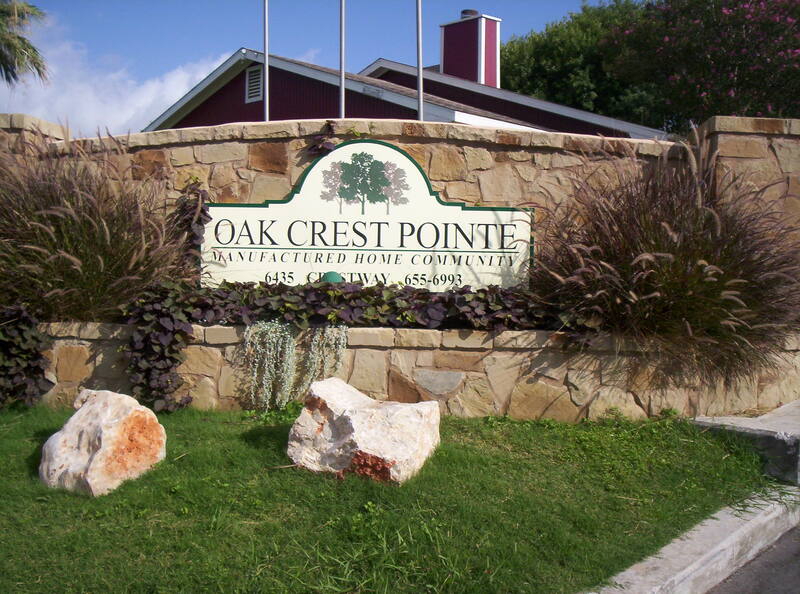 Oak Crest Pointe was planned and designed for the ideal lifestyle for you and your family. Its location was chosen to allow easy access to schools, shopping, and cultural centers. With so much to offer, isn’t it time for you and your family to enjoy the advantages of living at Oak Crest Pointe? Would you like to rent or buy a home? The mission of the Texas Department of Housing and Community Affairs is to administer its assigned programs efficiently, transparently, and lawfully and to invest its resources strategically and develop high quality affordable housing which allows Texas communities to thrive. Stop in today or give us a call! We’d love to hear from you and answer any questions that you may have about our property. Remember, residents are our main concern! If you are looking for a safe, many amenities, and clean manufactured housing community, look no further – you have found your home!